Have an awesome electronic widget that you want to get to market? Great! We are always listening to new ideas from our customers and the community. We get many inquires on this topic, so read this tutorial carefully to keep your product pitch from getting lost in the shuffle. 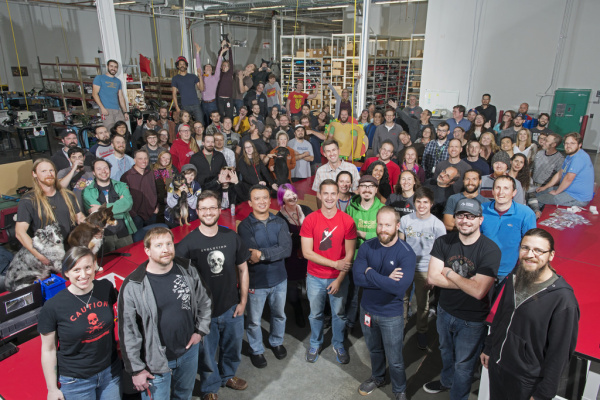 We're lucky, here at SparkFun, to have an amazingly creative and talented group of customers. Not only can they identify gaps in the catalogs of electronics suppliers, they can create a gizmo that fills that hole. But, going beyond a prototype or even a limited-quantity production run, often the hardest task in getting your world-alterring product out there is producing, marketing, and/or selling it to the masses. That's where we come into the picture. We recognize that there comes a certain benefit to having your product in our catalog and we want to give you the best chance to have that. However, the partnership needs to make sense for both parties (maybe more parties) involved. 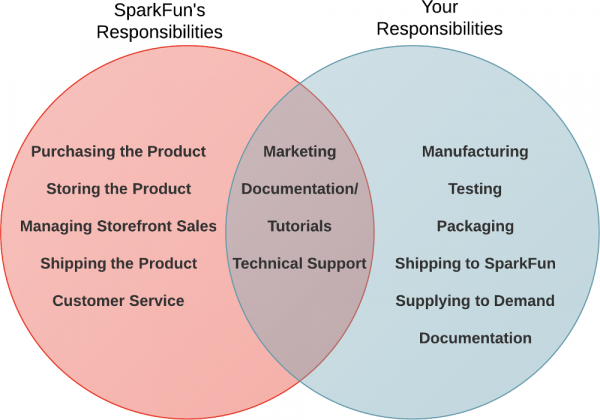 We strive to keep the SparkFun catalog of products curated. A selection of products that help get your project completed that we would use ourselves. So regretfully we cannot take all products brought to us. Below we have outlined what we look for, how we can possibly work together, and the steps to take in order to properly submit your product for evaluation. 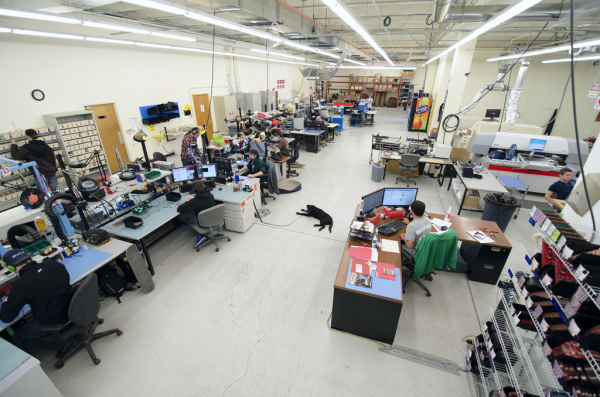 SparkFun aims to sell parts and boards pertinent to DIY electronics. This may touch on areas relating to education, prototyping, and product design. Among the reasons for stocking certain products, we look for things that are helpful, cutting edge, useful in a broad spectrum, and appealing the community. We want products that make things easy for the user, but at the same time, do not constrain the possible uses for the product. Over the years SparkFun has helped to bring dozens of unique widgets and useful electronic shortcuts -- dreamt-up and designed by our customers -- to the throngs of electronics hobbyists, artists, and students. We've gone through this process enough to know how to guide any product through it. The goal of this tutorial is to walk you through two of the most common routes previous collaborators have followed in getting their widgets sold on SparkFun. Which route you choose mostly depends on who is manufacturing your product. Time to choose your adventure. Have you already set up a manufacturing process for your design? 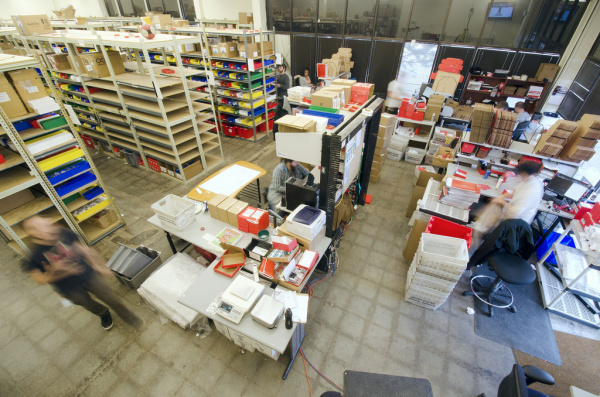 Whether you're cooking the boards in your basement reflow toaster, or working with an established assembly house, we might be interested in reselling it. What really matters is that you have a solid, tested design, a manufacturing process set up for it, and a market starving to buy it. 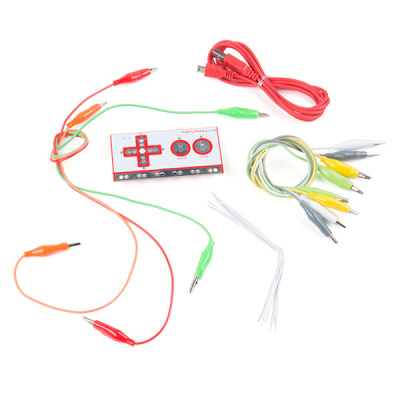 Makey Makey Classic -- Originally a collaboration with Jay Silver, Eric Rosenbaum, and SparkFun. 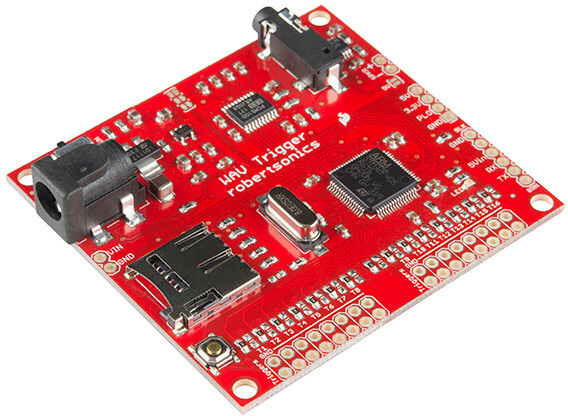 The latest board version is now being redistributed with JoyLabz in our catalog. 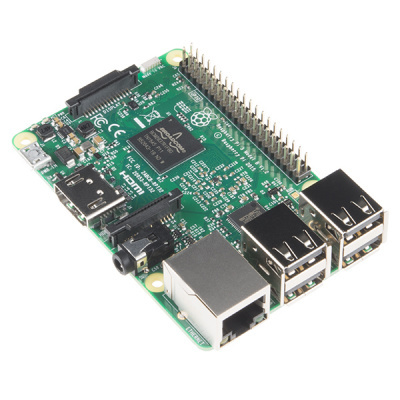 Raspberry Pi 3 -- A powerful SBC that SparkFun buys, stores in our warehouse, and resells. BITalino - BioMedical Development Kit -- Another product that SparkFun buys and distributes via our online catalog. It's the fastest route to our storefront, if that's what interests you the most. Check out this half of the tutorial to find out more about how to pitch your product. Have you prototyped your design, and proven that it works, but gotten stuck trying to produce and sell it? Well it just so happens that we have pick-and-place machines, reflow ovens, and a all-star production team that can help with manufacturing. Plus, our engineers can help polish the design along the way. The best part about this option is you still get paid. Instead of buying the products up-front, we pay you a percentage-based royalty per product sold. LilyPad Ecosystem -- The LilyPad system was designed by Leah Buechley while pursuing her Ph.D. in computer science at the University of Colorado Boulder. The commercial version of the kit, which launched in 2007, was collaboratively designed by Leah and SparkFun Electronics. View the full line of LilyPad boards here. WAV Trigger -- The WAV Trigger is a unique high-fidelity polyphonic audio player with surprising capabilities. The board is a collaboration with Jamie Robertson. Another product we manufacture and pay royalties per sale for continued support and development. 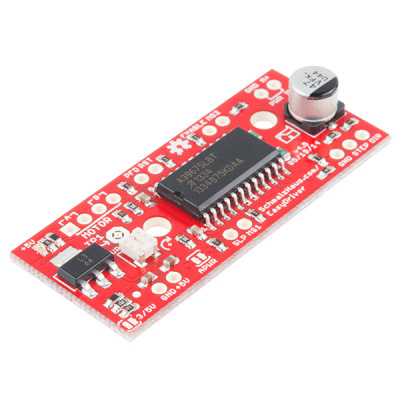 EasyDriver -- The EasyDriver is a simple to use stepper motor driver. The board was co-designed with Brian Schmalz. It is another product that we manufacture and pay royalties per sales for continued support and development. These products have all gone through this process, and are now some of the highest-selling, most important products in our catalog. Check out this section of the tutorial to learn more about how to pitch your design. So, it all begins by figuring out who's producing the widget. Read on to learn more about each option. At the end is a form you can use to submit your project/product/idea for review. Please read the entire tutorial before submitting as there is very pertinent information involved. 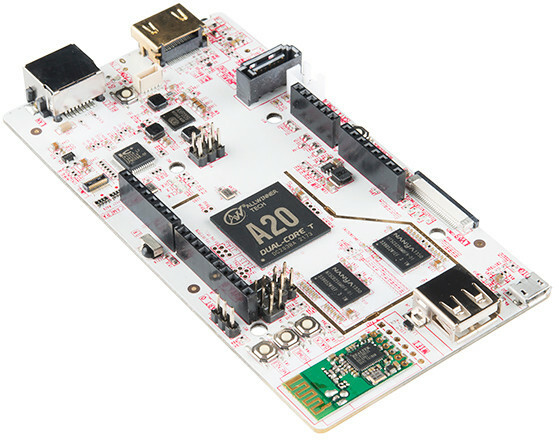 The schematic and PCB designs are the heart of most SparkFun products. Over the last 10+ years, we've designed hundreds of unique PCBs, and produced millions of widgets, so we know what adjustments to the design will make our production process flow as smoothly as possible. Those adjustments have found their way into a loose set of rules that we know to follow, but you might not. Designing your product with these rules in mind will give you a head start, and it'll also make your product pitch more attractive to us. The less work we have to put into scrubbing your design, the faster we can start building and shipping it! Design your PCB in EAGLE -- The collaborative process is easiest if we're both speaking the same EDA language. There are dozens of design tools out there, but we've gotten really accustomed to EAGLE. If you're not familiar with the software, consider checking out some of our tutorials for help getting started. Use our EAGLE libraries -- By using our set of EAGLE footprints and parts, you're better assured that the parts in your design will also be on our inventory shelves. You'll also be using the footprints that our quality-assurance team has painstakingly crafted to help optimize AOI and other testing. Unless your part is a kit, aim to use as many surface-mount (SMD) parts as possible. Our production team is most efficient, when they're letting the pick-and-place/reflow oven combo do most of the busy work. For common passives (resistors, capacitors, etc. ), try to us 0603 parts or bigger (0805, 1206, ...). If a part has multiple footprints, and you're unsure of which one to use, consider checking the Eagle files of one of our live boards and comparing against that. Create the board frame on a 0.1" grid. Make the lower left corner start at (0, 0). Change the line width of the board frame to 0.008"
Board frame will be square unless called for by special requirements of the design. All parts are placed on a 0.005" grid. If possible, use a .05" grid. Make sure all 0.1" headers are lined up on a 0.1" grid. Keep it breadboard compatible! Use 0603 packages for resistors and capacitors. Use 10 mil (0.010") traces in general. 8 mil traces can be used when necessary, 6 mil is absolute minimum. Use thicker traces (as thick as possible) on power and charging traces. Keep at least 8 mil of space between traces. Route with straight lines and 45 degree corners only. No right angles in trace routing, but T-intersections are okay. Route from pads. Avoid routing into the pads- this causes traces to be not centered on a pad. Traces should enter and exit center of pad at 90 degree angle. Use ground pours on the top and bottom layers. Change the "Isolate" setting on ground pours to 12 mil (0.012"). If something is soldered into a hole (header, connector, prototype vias, etc), use a via with a larger annular ring so that it is easier to solder. For normal prototyping vias, use 0.04" hole with a 0.074" diameter. Set the default via size to 0.020." 0.010" is the smallest allowed via size. Only change from the default if absolutely necessary. Via size is defined by the "Drill" parameter in the DRC. Add a version code on the bottom copper layer, and revise the version code on every revision! Use the standardized I2C layout: GND, VCC, SDA, SCL. The autorouter can only be used on prototypes. Hand routing and touch-up of the autorouter is expected for production boards. Make sure to load the Sparkfun.dru for the DRC check. 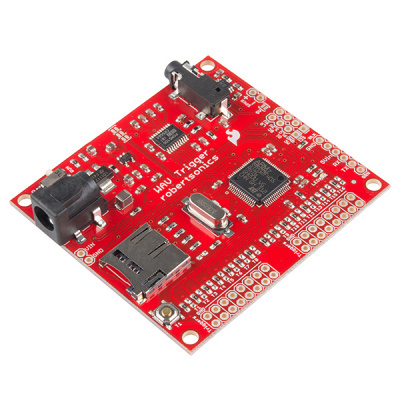 Pull the most up-to-date version of the Sparkfun.dru from GitHub. Don't use the default settings! When the bare PCB is your product, it doesn't hurt to dress it up and make the board look nice and polished. Here are some EAGLE-specific design rules that we follow to make our boards look as good as possible. Label the name of the board appropriately. Label any LED with its purpose (power, status, D4, Lock, etc). Label all connectors (Vin, Port1, Batt, 5-9V, etc). Label pins where applicable (Tx, Rx, Power, +, Charger, etc). Label switches and switch states (On/Off, USB, etc). Label any extra information (ie. axes on gyros, accelerometers, etc). Makes sure labels are on a straight line- add a line in the tDocu layer to make sure the labels line up. Text should be 0.032" minimum and 15% ratio, vector font. Every board should have the full SparkFun logo or at least the smaller SFE Flame. Add the LOGO-SFE part to the schematic. Make sure to put this part in the lower right hand corner of the schematic. Every board should have the Open Source Hardware Logo unless otherwise specified. Look for OSHW-LOGO in the library and add it to the schematic. This should go in the lower right hand corner as well. 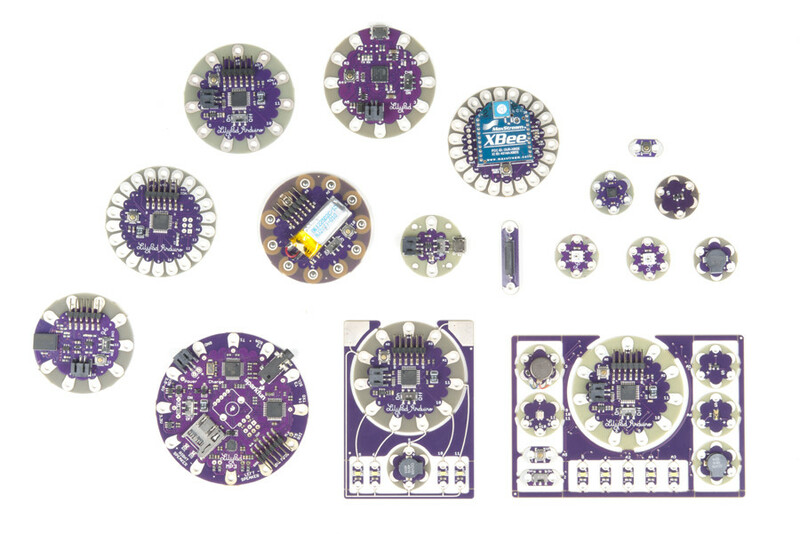 Components that are grouped together in the PCB layout will be grouped together in the schematic. Draw boxes to show functional groups. Contact Information: Pretty self explanatory. At the very least, include a name and email address. Tell us about your product/project: A description of what you are pitching. A very descriptive rundown of what your product does and how it does it. Explain everything from a very basic viewpoint. Things to include (if applicable) are the major components used, scope, time, etc. What stage of development is this project in: How far along are you on this? What work have you put in thus far? Again, we only consider pitches that have at least reached the point of a working prototype or proven design. 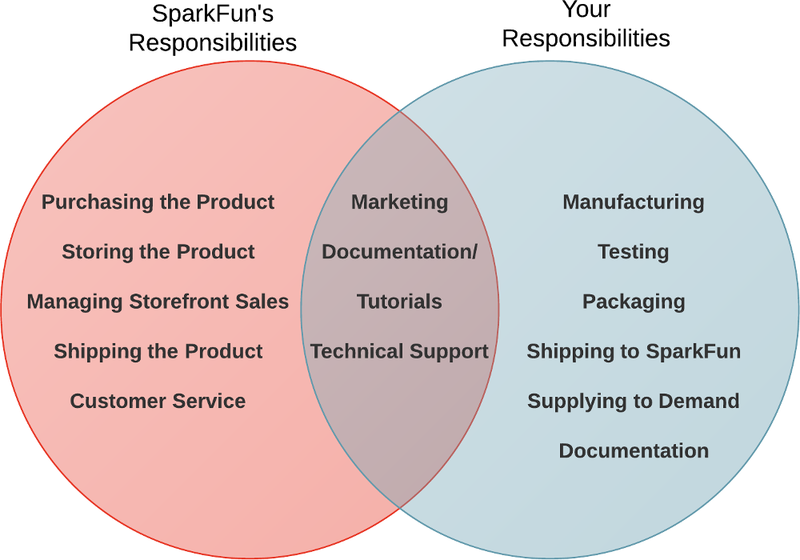 How does SparkFun factor into your project: What role will SparkFun play in this? How will we benefit the project? What is your target MSRP: When considering the target retail for your product, consider things such as BOM cost, distribution margin, and profit margin. If you have a pricing structure already setup, please include that with all quantity price breaks present. Describe the advantages of your product compared to its closest competitors: Tell us why your product is better than similar products on the market. If you feel it is unique to the market, what products come close? Please cite examples if possible. Do you have a time frame in place for this product? If so, please outline it: We recognize the benefits of a strategic launch schedule. Please be realistic in your time frame and understand at no point will your project be the sole focus of SparkFun. This part especially highlights the idea that it must make sense for both parties involved. What is your projected annual sales for this product: We understand, especially with our market, that this is tough to gauge. Please provide an estimate of how many units we can expect to sell. If you have any market research to back up your number, please cite that as well. Describe the manufacturing process you envision for this (how are you going to get this product built? ): We like to know who you are using for manufacturing and where they are located. This helps us estimate shipping costs and possible bottlenecks. What lead times can we expect? If your product requires programming, what programming language does it use? What toolchain would you suggest programming it in: A bit of an overlap of the second question, but in this question go into depth about the software aspect of the project. Are any parts not open source? Does it use specific libraries? Does this product require any agency approval (UL, CE, FCC, RoHS)? If so, how do you plan on addressing that: This is a tough one. Provide an informed answer if possible. Most information is regularly available online. Any additional comments: This is a good place to include the URL to any web links you think are pertinent. Below is the email to send in your product pitch. Again, please include as much information as possible. Once submitted you will receive an automated email letting you know that we have received your submission. We wish we could provide a response and meaningful feedback for every submission, but it simply isn’t possible considering the volume we receive. If you don’t receive a response beyond the automated message within a month, please assume that we had to pass on your idea.